I have just finished writing the manuscript for a book that tries to put this idea to the scientific test. The book is titled Big Dreams: The Science of Dreaming and the Origins of Religion, and it will be published by Oxford University Press later this year or early next. The basic thesis is that Tylor, Nietzsche, and others are right, dreaming is indeed an experiential source of religious beliefs and practices, and the best evidence from cognitive scientific research backs them up. Rather than trying to give an all-encompassing theory of religion, I focus on a few specific areas of religious experience where dreams play an especially influential role: demonic seduction, prophetic vision, ritual healing, and contemplative practice. The title of the book draws on psychologist C.G. Jung’s notion of “big dreams” as rare but extremely vivid dreams that make a strong and lasting impression on waking awareness. I use resources from traditional psychology of religion (e.g., William James, Sigmund Freud) as well as from newer works in the cognitive science of religion (e.g., Emma Cohen, Harvey Whitehouse, James W. Jones) as guides in applying scientific dream research to the study of religion. This is also the first book I’ve written using the Sleep and Dream Database (SDDb) as a primary resource. I’m just learning how to use the digital tools of the database myself (an upgraded version of the site will come online in the next few days), and the more SDDb analyses I did for this book, the more excited I became about possibilities for future projects in data-driven dream research that look at religious and cultural phenomena with fresh, empirically curious eyes. H.P. 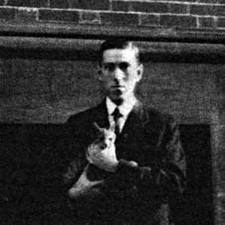 Lovecraft (pictured to the left) wrote the short story “The Call of Cthulhu” in 1926, and first published it in 1928 in the magazine Weird Tales. The story centers on Professor George Angell, Semitic languages expert at Brown University, who dies under suspicious circumstances and leaves his papers to the care and disposition of his grand-nephew Thurston. Among the papers is a peculiar file titled “CTHULHU CULT.” As Thurston reads its contents he realizes that just before Prof. Angell died he discovered a horrifying, sanity-shattering truth–Beneath the ocean dwells a blasphemous creature of primordial evil, worshipped in bloody rituals by secret groups all around the world trying to hasten the day of its return. Professor Angell diligently gathered and analyzed several types of data to reach this shocking (and perhaps fatal) conclusion. Foremost among his sources of evidence are first-hand reports of strange and unusually memorable dreams. Was Professor Angell the first empirical dream researcher? “The Call of Cthulhu” describes a process of studying dreams that is more scientific than anything found in the works of Freud and Jung, who were contemporaries of Lovecraft. Nothing like it appears until the content analysis method of Hall and Van de Castle in the 1960’s. Prof. Angell’s investigation thus predates by several decades a major shift in dream research from a reliance on clinical case studies toward more systematic analyses of large, demographically diverse collections of data. When Wilcox described hearing sounds in his dreams that might be rendered as “Cthulhu fhtagn,” Prof. Angell became intensely interested. “He questioned the sculptor with scientific minuteness” (49), determining that Wilcox did not have any prior familiarity with secret societies or occult lore. Whatever Wilcox was dreaming about did not arise from any specific experience or knowledge gained in his waking life. The dreams clearly came from some place, or some thing, else. The Cthulhu Cult file contained additional material from a 1908 police investigation of a voodoo cult in Louisiana, whose members performed sickening sacrifices while chanting strange words like Cthulhu, R’lyeh, and fhtagn. This explains why Prof. Angell took such a desperate interest in Wilcox’s dreams–he had heard these words many years before, in a totally different but equally disturbing context. The Louisiana police interrogated the cult members, who reluctantly explained the words they were chanting meant “In his house at R’lyeh dead Cthulhu waits dreaming.” Cthulhu is one of the Old Ones, cosmic monstrosities who came from the stars and reigned over earth for countless eons but then died and now lie buried beneath the earth and sea, waiting, dreaming, reaching out to influence our minds: “When, after infinities of chaos, the first men came, the Great Old Ones spoke to the sensitive among them by molding their dreams; for only thus could Their language reach the fleshy minds of mammals.” (60) The Old Ones have a “mastery of dreams” (68, italics in original) that enables them to share their malignant secrets with humans of unusual receptivity and mental instability. You can read the story yourself to learn the ultimate fate of the poor mariners. 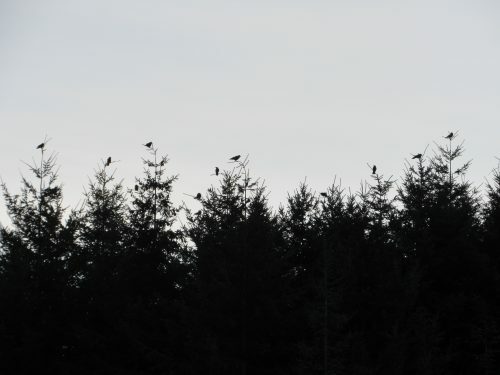 Suffice it to say that their fantastic narrative, dismissed by local authorities as the ravings of lunatics, confirmed in every detail the story pieced together by Prof. Angell’s dream investigations. 2. Learn as much as possible about the dreamers’ background, character, and occupation. 3. Separate personal dream content from impersonal, seemingly alien content. 4. Look for analogies between dreams and art. 5. Gather reports from as wide a variety of reliable sources as possible. 6. Identify continuities between the frequencies of specific elements of dream content and the waking life concerns of the dreamers. 7. Concentrate the analysis on a specific period of time, seeking evidence of individual dream reactions to an objective external phenomenon. 8. Contextualize the findings in evolutionary history, using dream data to illuminate age-old truths only dimly perceived by the rational mind. Is there any one else who studied dreams like this earlier than 1926? Carl Jung, maybe. A few other investigators in the late 19th and early 20th centuries were using one or another of these principles, but to my knowledge no one integrated them with the same systematic focus and scholarly sophistication as did the late Professor George Angell. Note: Page references are to the story as published in The Colour Out of Space, Jove/HBJ Books (New York, 1963), pp. 45-75. Note added 12/13/12: Thanks to Bob Van de Castle for pointing out that psychologist Lydiard Heneage Horton (1879-1945) of Columbia University was developing systematic methods for studying dream content as early as 1911, with his M.A. thesis on “The Flying Dream: Its Significance in Psychotherapy.” His Ph.D. thesis, titled “The Dream Problem and Mechanism of Thought,” was published in 1925. It is certainly possible that Lovecraft knew of Horton’s work and used him as a model for Professor Angell. As I look at Van de Castle’s “Our Dreaming Mind” for his comments on Horton, I should also note the importance of Mary Calkins, a psychologist from Wellesley College who in 1893 gathered 381 dream reports from 6 female students and analyzed them in terms of various aspects of content. It would be easy to interpret this dream as a guilt-driven fantasy, a classic Freudian wish fulfillment. We don’t know for sure, but we can fairly assume that Mary felt deeply saddened and somehow personally responsible for her child’s death. The dream, in this view, satisfies her desire to defy death and magically restore her child’s life rather than tragically losing it. A better interpretation, I believe, starts with the dream’s emotional impact on her waking life. Mary’s dream marks a significant moment in her mourning process, her psyche’s way of making sense of a devastating loss and trying to reorient towards future growth. Mary’s dream does not hide or disguise her child’s death. When she wakes up, her first thought brings a fresh sense of loss and sadness. But the dream also introduces a spark of vitality into Mary’s awareness. Warmth, fire, and vigorous activity do indeed stimulate the creation of new life. Mary’s dream is not delusional about that piece of primal wisdom. Mary may not have been able to bring her baby back to life, but she still had the drive, desire, and knowledge to create again. “Frankenstein” surely reflects the same wishful fantasy as Mary’s dream of the previous year, i.e., bringing the dead back to life. But the differences are significant: In her dream, a mother tries to reanimate her daughter, whereas in “Frankenstein,” a male scientist tries to animate a creature stitched together from many different bodies. The dream portrays a natural human desire for a personal relationship, while the story presents an unnatural and inhuman desire for impersonal control over another’s life. 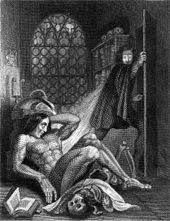 In “Frankenstein” Mary adds to her dream a dimension of horror and madness, along with a prescient critique of the self-destructive hubris and masculine grandiosity of modern science. I don’t know much about her relationship with Percy Shelley, Byron, and other male poets, but I would guess that “Frankenstein” also reflects Mary’s feelings about gender, sexuality, and literary creativity. 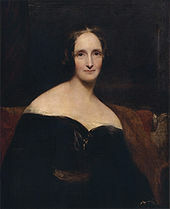 Mary’s dream of her baby daughter did not simply inspire the “bring the dead back to life” plot line of “Frankenstein.” The dream prompted a transformative deepening of her awareness about the creative tension between life and death, an awareness that enabled her to infuse “Frankenstein” with critical insight, emotional poignancy, and existential wonder. 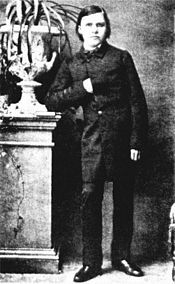 In Ronald Hayman’s 1980 biography Nietzsche: A Critical Life, he mentions two dreams that came to Friedrich Nietzsche early in his life. 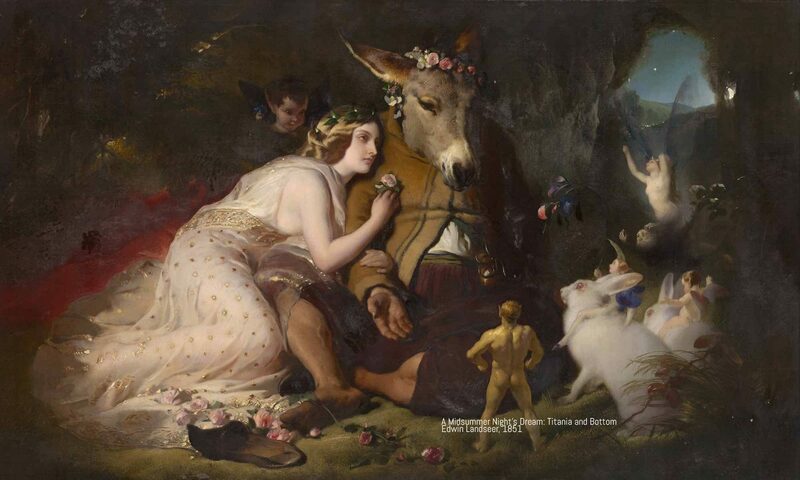 These two dreams prefigure Nietzsche’s later philosophy in several ways. They express a profound appreciation for the terrifying power of the unconscious, a tragic sense of fate and mortality, an openness to insights from “irrational” sources of knowledge, and a spiritual struggle with the death of God, the church, and His representatives on earth. These notes served as the basis for The Birth of Tragedy (1871), Nietzsche’s first published book. The opening section of this work lays out an understanding of art, philosophy, and history that centers on the creative power of dreams. This is not the place to explore the influence of dreams on The Birth of Tragedy or other writings in Nietzsche’s later career. But it’s worth pointing out that both Sigmund Freud and Carl Jung knew of Nietzsche’s philosophy and wove his ideas directly into their new psychological theories. If you want to understand Freud and Jung better, go back to Nietzsche and his childhood dreams.